New Albany Ace Hardware is a local family owned independent hardware store and a proud member of the Ace Hardware cooperative. 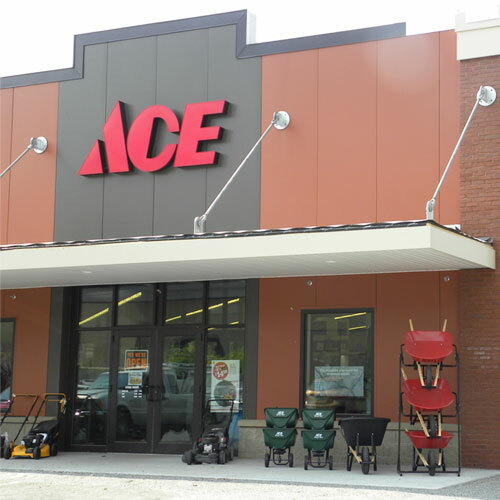 We strive to make New Albany Ace Hardware a warm and friendly place for our customers to shop, a warm and friendly place for our associates to work and an asset to the New Albany community. Come in early in the morning for a free cup of fresh hot coffee and later in the day for a free bag of fresh hot popcorn. And we are dog friendly so also feel free to bring your dog along and get a dog biscuit at our check-outs. Stop by to see why Ace is the Helpful Place and say hello to our Manager Dave, our Assistant Manager Charee, or Wendy & Mike, the owners.